In Match 17 of VIVO Indian Premier League 2019 (IPL 2019), Royal Challengers Bangalore (RCB) will face Kolkata Knight Riders (KKR) at the M. Chinnaswamy Stadium in Bengaluru on Friday. Virat Kohli faces a herculean task of taking his team to first win of this edition of IPL as the team has suffered back-to-back defeats in first four matches and are now seated at the eighth and the last spot at 2019 IPL points table. On the other hand, Dinesh Karthik-led Kolkata Knight Riders won their first two matches comfortably but Delhi denied them a hat-trick of wins as they snatched victory in the super over. Andre Russell has been in supreme form RCB bowlers would be busy preparing for a way to get rid of him before he starts demolishing. Royal Challengers Bangalore have all faced everything opposite to their expectations, they are now 0-4 down and considering the form and the opponent, it would be a huge task for Virat Kohli to bring his team out of this position. In their third match against SRH, Kohli's RCB remained cluless throughout the match as first David Warner and Jonny Bairstow thrashed all the bowlers as they went on to score a century each then their batting order collapsed even before they could produce a respectable reply. 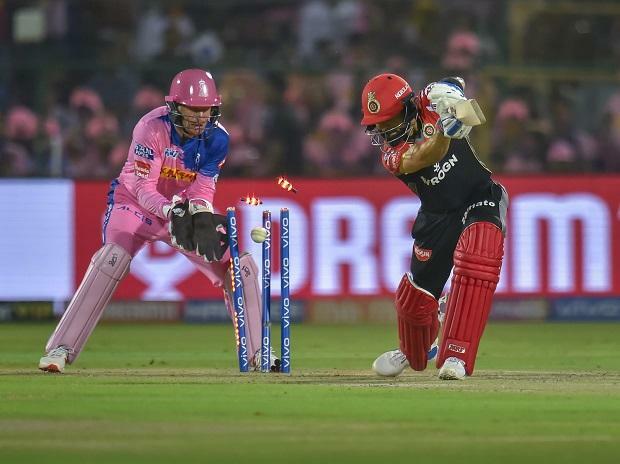 In their last match against Rajasthan Royals, RCB repeated the gaffes as their batting order collapsed in front of Shreyas Gopal who stunned the batsmen, including RCB captain Virat Kohli with his googly. Changes are likely as Shimron Hetmyer has not been able to perfrom in any match, Tim Southee may be called in to provide some experience. Moeen Ali may also be rested to try some new talent. RCB vs KKR match live streaming will be available live on Star Sports 1 HD, Star Sports 1 in English Commentary and Star Sports 1 Hindi, Star Sports 1 Hindi HD in Hindi Commentary. One can also live stream the RCB vs KKR 2019 IPL match on Hotstar app and website. The fans can also watch in-depth analysis of live match on Star Sports Select 1, Star Sports Select 1 HD.